Click HERE to see the Overview, Daily Activities, Accommodation and Maps on our Digital Itinerary. Join Us on A Unique Elephant and Rhino Conservation Safari. 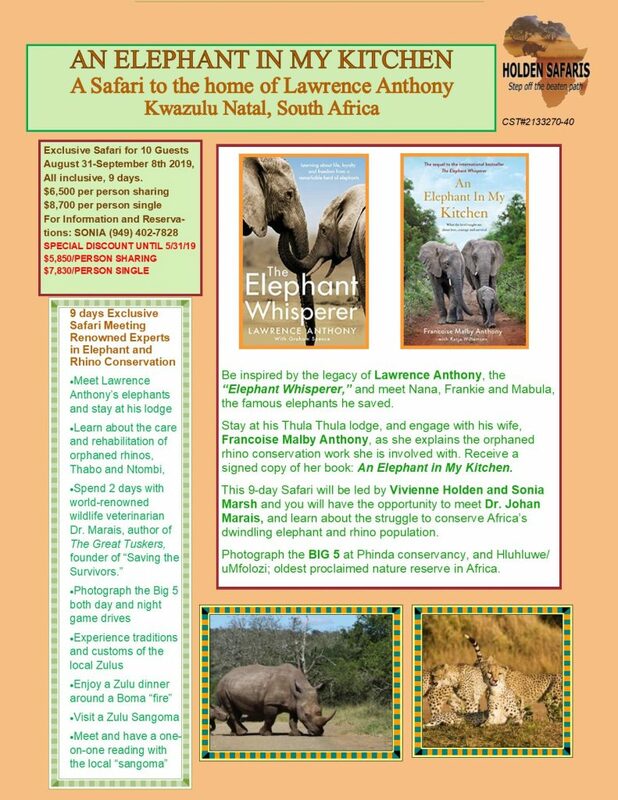 August 31-September 8, 2019 in South Africa. ONLY A FEW SPACES LEFT. Call Jim Holden (949) 500-0094 or Sonia Marsh (949) 402-7828 to reserve your space.